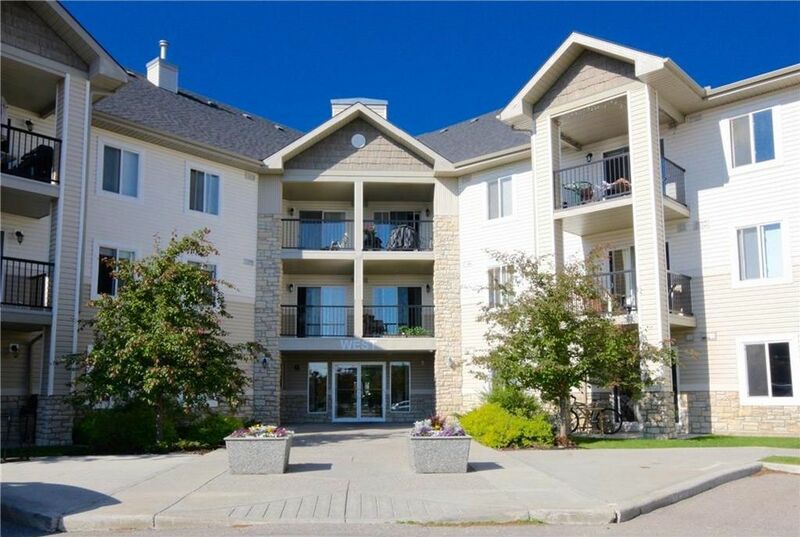 This second-floor unit is conveniently located just a short walk to playgrounds, schools, Fish Creek Park, & amenities. 2 bedrooms are perfectly situated on opposite sides of the condo for additional privacy. The master bedroom features a large walk through closet & 4 pc en suite. An open concept layout features the kitchen with a pantry, stackable washer/dryer, den, living room, 4 pc bath, & second bedroom. Sizeable windows throughout allow for an abundance of natural sunlight to shine through. The spacious south facing balcony has mature trees for privacy and is large enough to fit your patio set! Titled underground parking keeps your vehicle safe and warm while additional parking if needed is easy to come by for rent. Friends and family are more than welcome with many visitor parking stalls available and off-street parking, conveniently located close to the entrance.